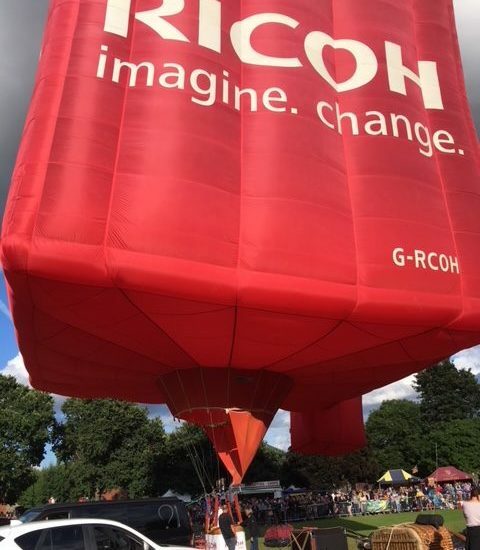 Tall Steve, the Ricoh imagine.change. 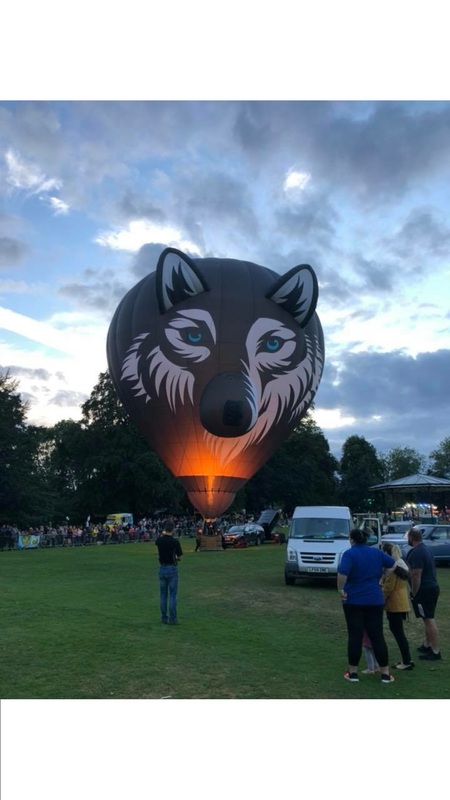 cube and Wes the Wolf have just returned from the second Oswestry Balloon Carnival, which was a great success despite some challenging weather. 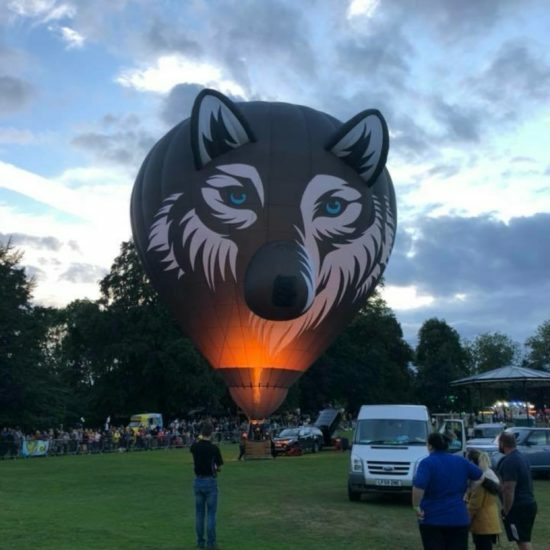 The carnival is hosted by UK balloon manufacturer Lindstrand Technologies Ltd and Nightingale House Hospice and was held in the stunning Cae Glas Park in the centre of the town, attracting thousands of spectators. 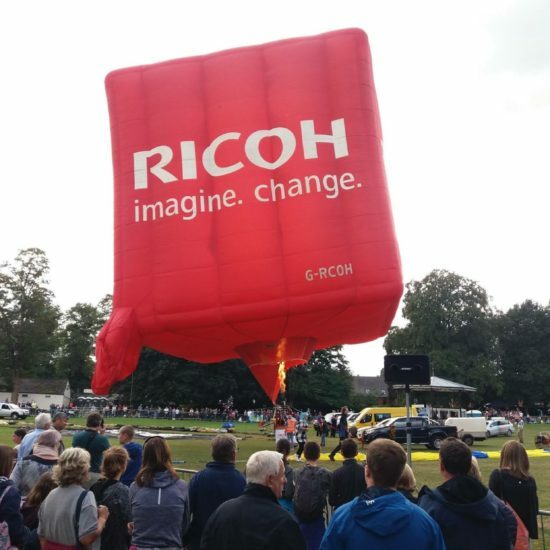 The town was buzzing with a vibrant atmosphere for the event. 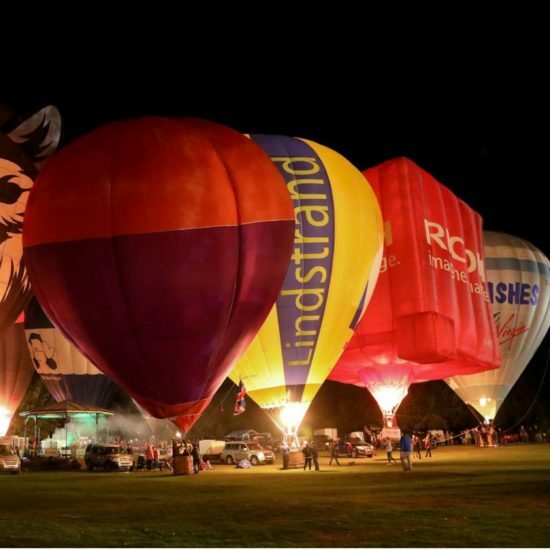 Along with the hot air balloons, there was a continental food market and traditional fairground rides to be enjoyed. 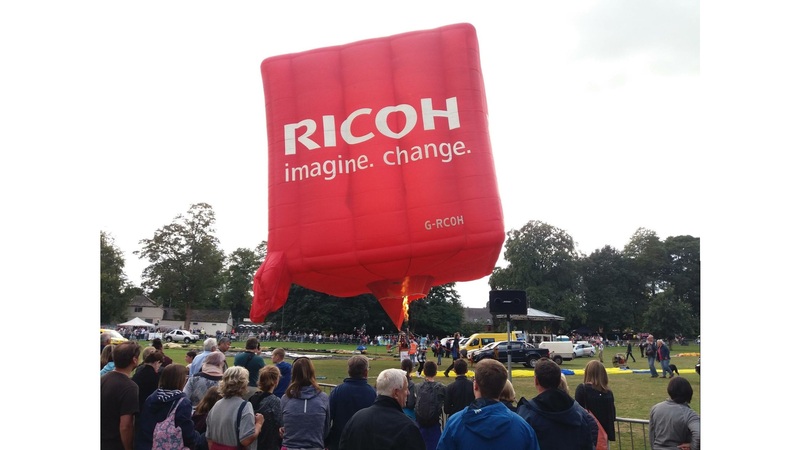 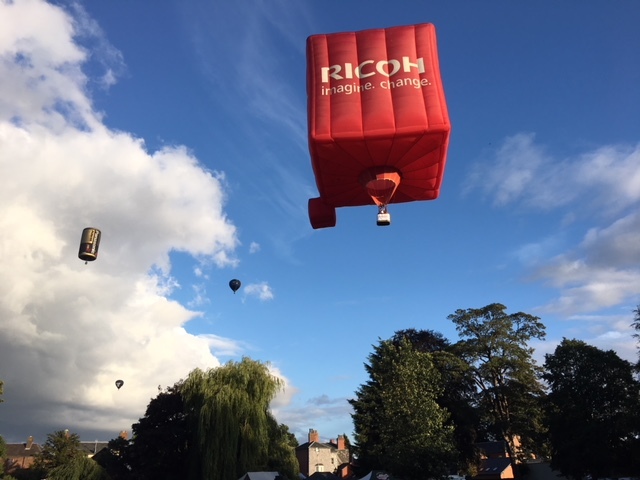 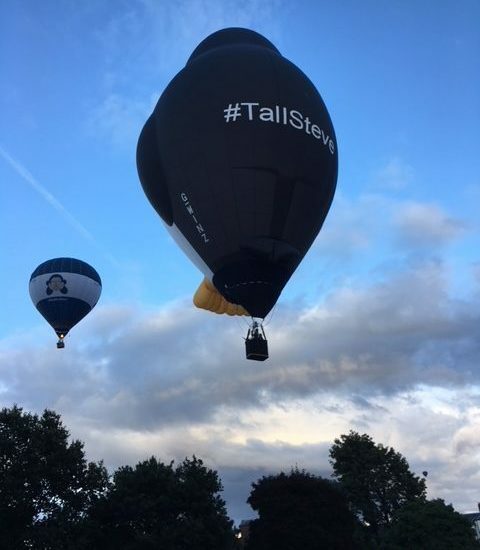 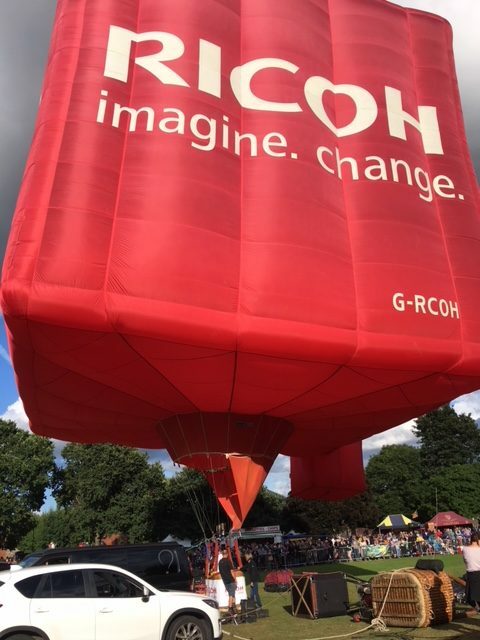 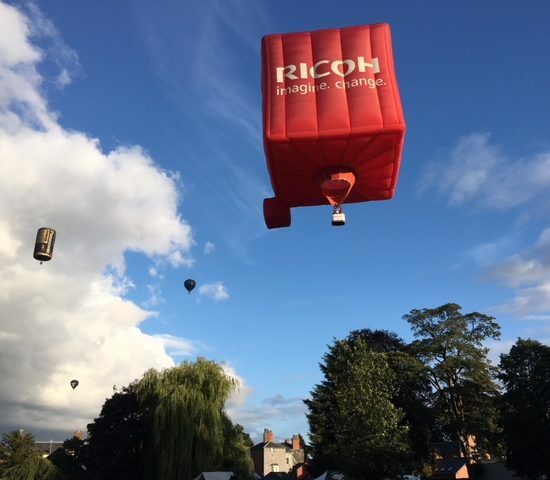 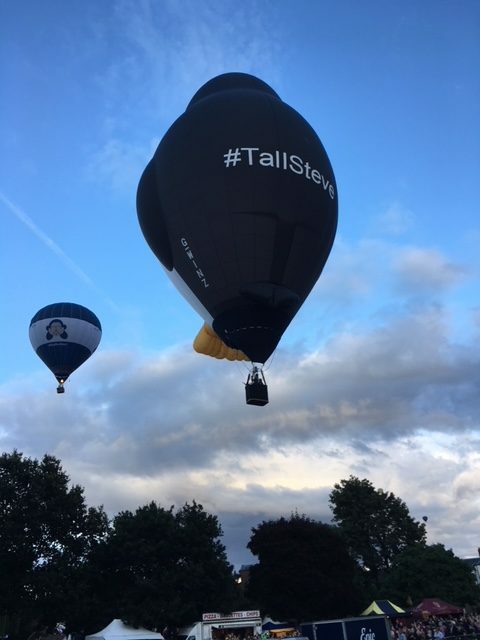 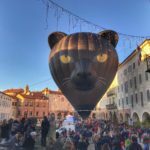 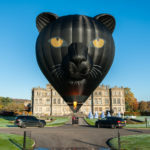 Our special shape Ricoh cube flew in the mass ascent over the town on Saturday morning and was tethering in the main arena for the crowds on Saturday afternoon stealing the press and attracting a lot of social media attention. 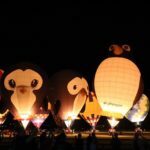 On Saturday evening our special shapes helped to light up the night sky by taking part in the Nightglow, set to music – a glorious sight to behold.